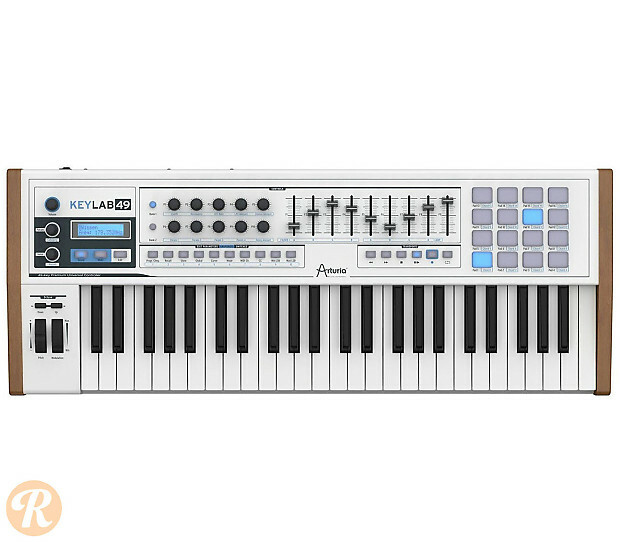 The Arturia KeyLab is a MIDI controller with velocity-sensitive keys and aftertouch, plus encoders in the form of knobs, faders, and pads. The KeyLab comes bundled with Analog Lab software with 5000+ presets for Arturia's virtual synths. Available in 25, 49, 61, and 88 key configuration.